The day before me and my sister was supposed to do the photoshoot of the “Foxhunt” Collection, I got it in my head to try to get some more pieces in to it. 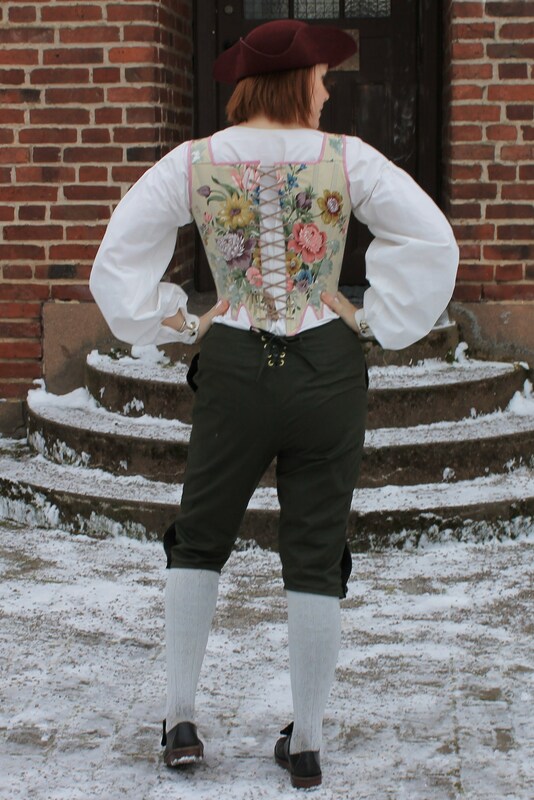 So I decided to finish the mock-up for the breeches, thous including them in the Collection. 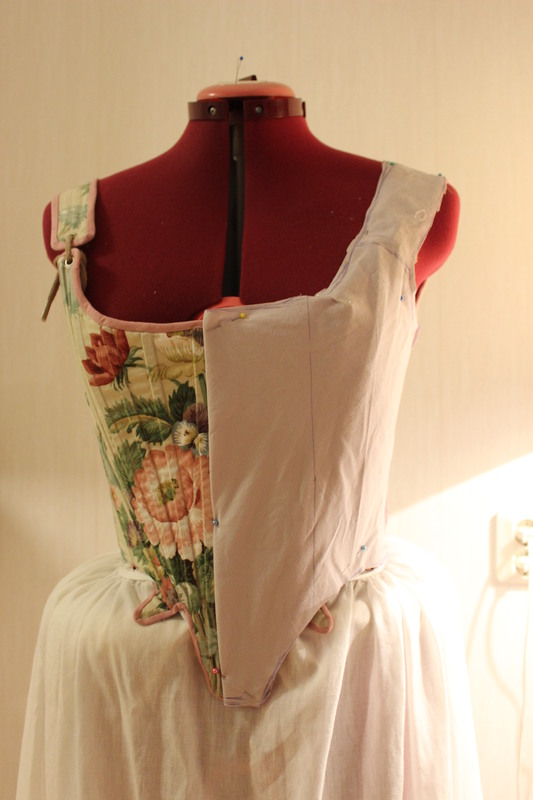 They were already half finished, and only needed the lining, the buttons and some decoration. 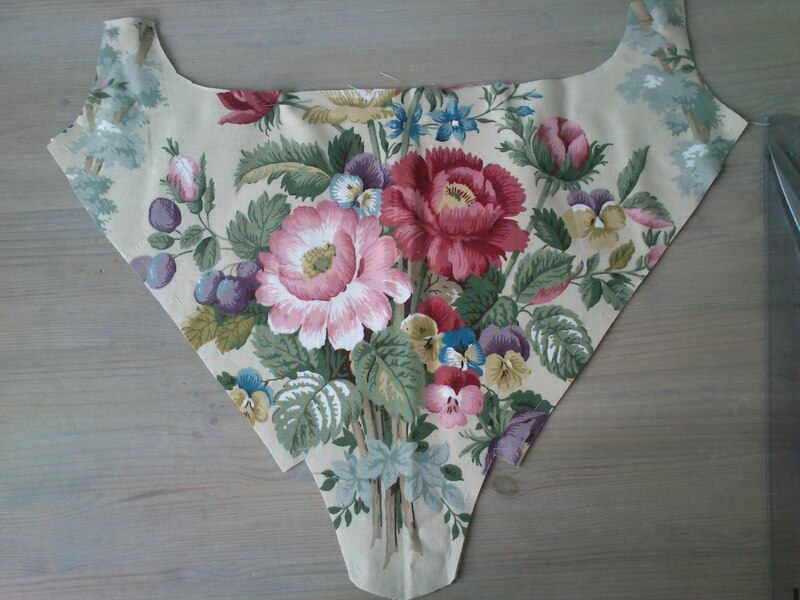 Sewn in a plain cotton fabric in a lovely green colour. 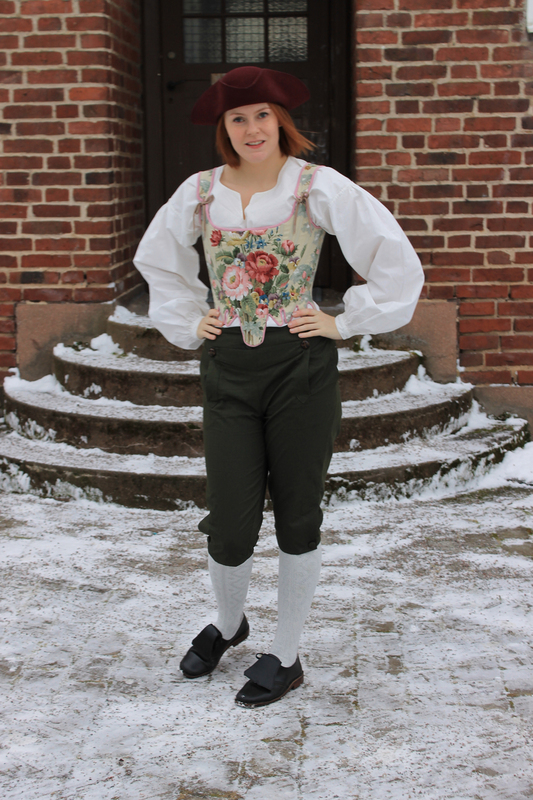 I also dug up my 1780s corset from half a year before. 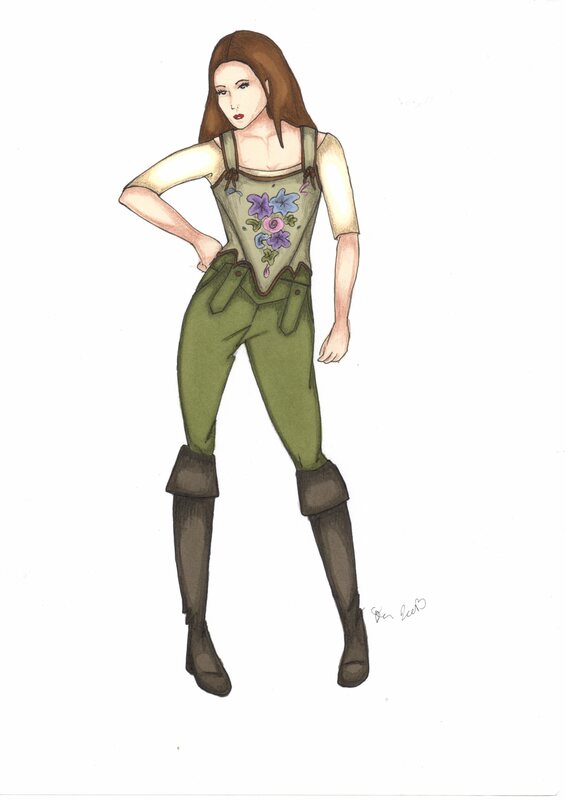 Design sketch: Flowery corset and green breeches. 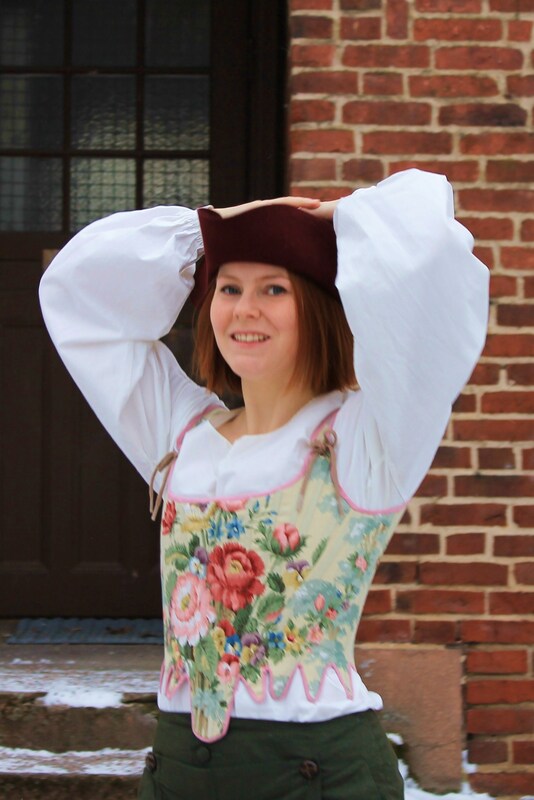 This corset was one of my second attempt at the 1780s pattern from Salens “Corsets”. 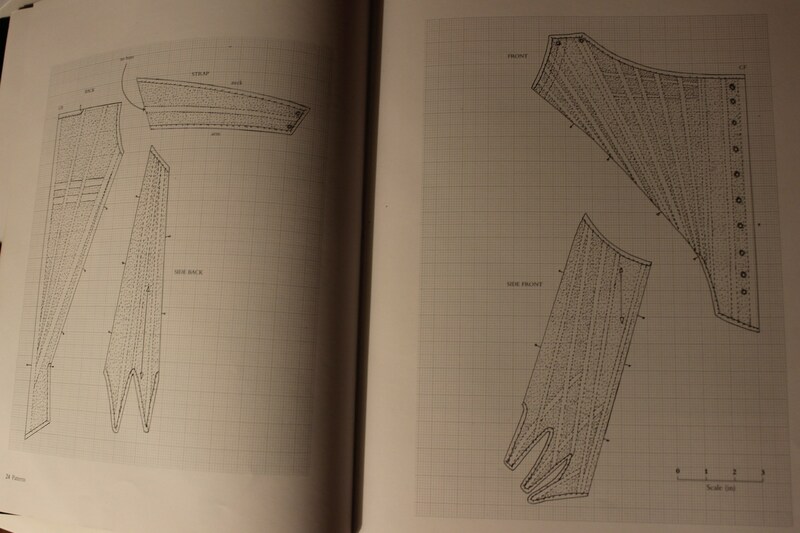 Wise from my previous attempt at the pattern I decided to only use it as a guide in drafting the new pattern. Not historical correct at all, but I still think the flower design looks great (and a bit kitch) on the front piece (and matching back piece). 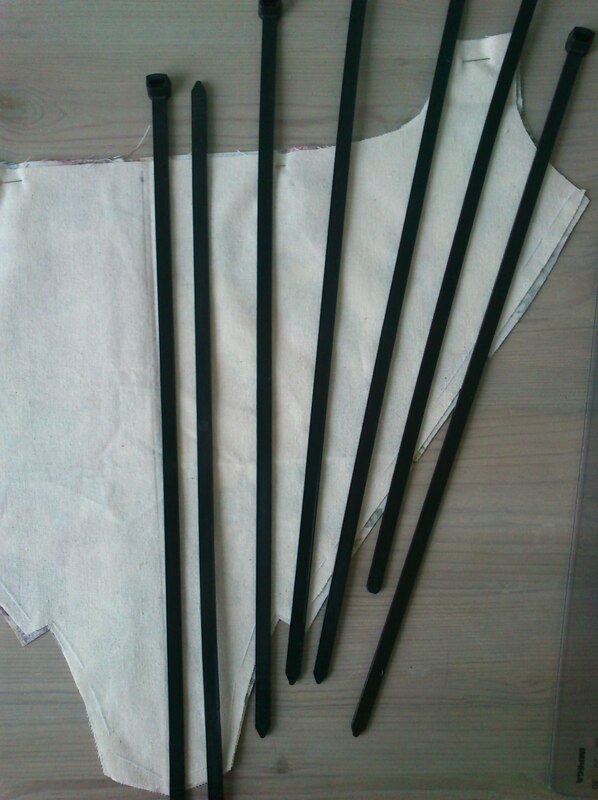 The boning layout, using plastic cable-ties. 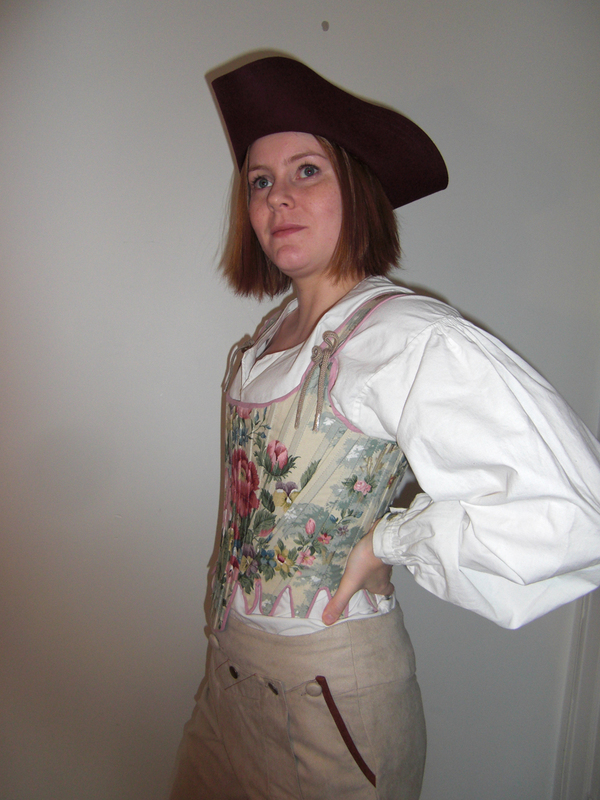 The corset turned out pretty good, and I frekvently use it in my costuming. If you been reading my blog Before, you might recognize it from some of my previous posts. 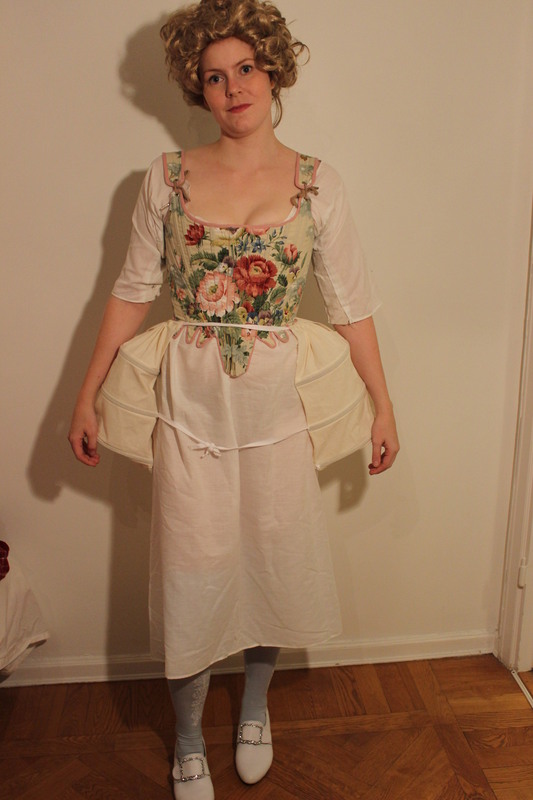 Draping a robe Anglaise.